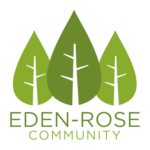 Eden-Rose Community – Providing a sustainable income to the Eden-Rose Coppice Trust. The Eden-Rose Community Limited (('ERCL') has been established with the purpose of undertaking a range of outdoor activities that will vastly support the local community. Its objective is to utilise the surpluses generated by these activities to provide sustainable income to the Eden-Rose Coppice Trust, a charity which provides support to those with a terminal illness and their families and carers. We are seeking investment to ensure the success of the not-for-profit community enterprise 'ERCL' and thus sustain the charity. We are aiming to raise a minimum of £80,000 and a maximum of £100,000. Excitingly, we have secured the support of the Booster Programme, which is funded by Power to Change and run by the Community Shares Unit. They have agreed that for every £ you invest, they will match fund it, which means we need to raise £40,000 via the sale of community shares. This is an exciting opportunity to invest in the development of The Eden-Rose Community (ERCL). Our key aims are to help sustain the charity: The Eden-Rose Coppice Trust, and support the local community. The purpose of this share offer is to raise sufficient funds to enable the purchase of necessary equipment, fund any work required on either site (specific to the business needs) and provide initial working capital. You can join ERCL by subscribing for Shares and becoming a Member. There is growing evidence that proves that contact with nature and green spaces positively affects health and well-being for young and old alike. Eden-Rose Coppice Trust provides advice and support to people with a terminal illness and their friends and family, in a highly beneficial tranquil and natural setting. The Eden-Rose Community will also use the natural environment in order to maximise the positive outcomes generated by its services, activities and events. For children who have severe, profound and multiple learning difficulties, natural settings can provide an ideal vehicle for a full sensory curriculum. With your investment ERCL will deliver inspirational learning experiences to young people in Suffolk who may require a more engaging learning environment. Children and young people with learning difficulties can struggle in mainstream education environments. As a result, they may experience low self-esteem, poor self-confidence and believe they will never be independent learners. We believe that every young person should be given the opportunity to have a positive experience whilst learning conservation, wood work and life skills. By investing in ERCL and becoming a member, you become part of a Community. . Links within a community are vital in tough times and a person’s social networks can have a significant impact on their health. . Your investment will help to establish ERCL and create opportunities for specific open and members days, regular volunteering sessions, community learning workshops and events. All helping to provide social networks and support. . .
ERCL’s services, events and activities focus predominantly on restoring and maintaining urban natural settings for wildlife and people. . By investing in ERCL you will be helping us to increase biodiversity in local areas and provide essential homes for wildlife, including local priority species such as the grass snake, West European hedgehog and stag beetle. HMRC have granted us advanced authorisation for the Seed Enterprise Investment Scheme (‘SEIS’). Under this scheme, investors can potentially deduct 50% of the cost of their investment from their income tax liability, either for the tax year in which the investment is made or the previous tax year. This means that for income tax payers the net cost of their investment will be reduced by 50%, depending on their tax status. The society anticipates to pay an interest rate of between 1.5% and 2.5% on all shareholdings three years from the date the shares were issued. The interest rate will be proposed by the Management Committee based on the performance of the Society. As a shareholder you will be supporting a charity whilst also having the opportunity to join our community. This provides access to volunteering at our woodlands, voting rights for important decisions and concession prices for most activities, events and services provided by ERCL. *Anyone investing on the basis of the potential tax break should check with their own financial advisor as to their eligibility and the means by which they will claim it. 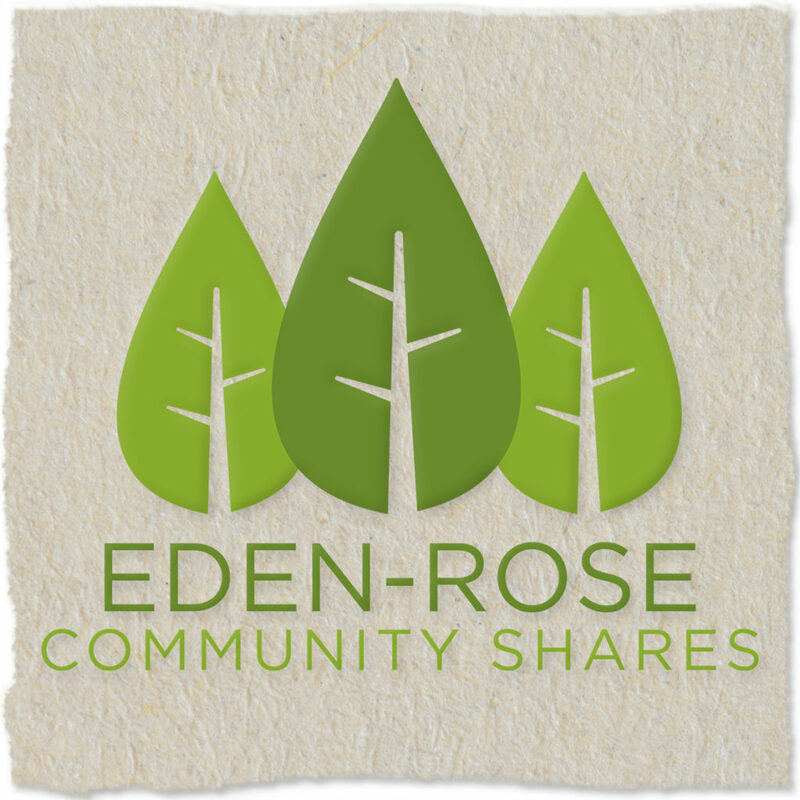 Eden-Rose Community Shares can be bought in increments of £50. To purchase more than one share, please enter the amount in the quantity box. e.g. for £500, enter 10. You may invest from £50 to £8,000 (i.e. 1 share to 160 shares). Watch our video to learn more about the projects the Community Benefit Society will support and how you can become involved as a shareholder.